First of all quit worrying yourself. This is easy. If you’ve got a copy of the service manual handy I want you to do something for yourself, for today’s exercise anyway, lose it. Epson took the lazy man’s approach to writing that manual. If one part becomes accessible during the process of taking another completely unrelated piece apart, they include both processes together. It’s completely misleading. Go ahead and the read the manual page after page, line after line. You’ll see, they make you take half the machine apart just to clean the wiper. THAT IS INSANE DON’T DO IT! 3 – there is no three. Told you this was easy. Next step is finding the wiper blade. Once again the best way to do this is also the easiest way – watch my Wiper Exchange Video Tutorial. 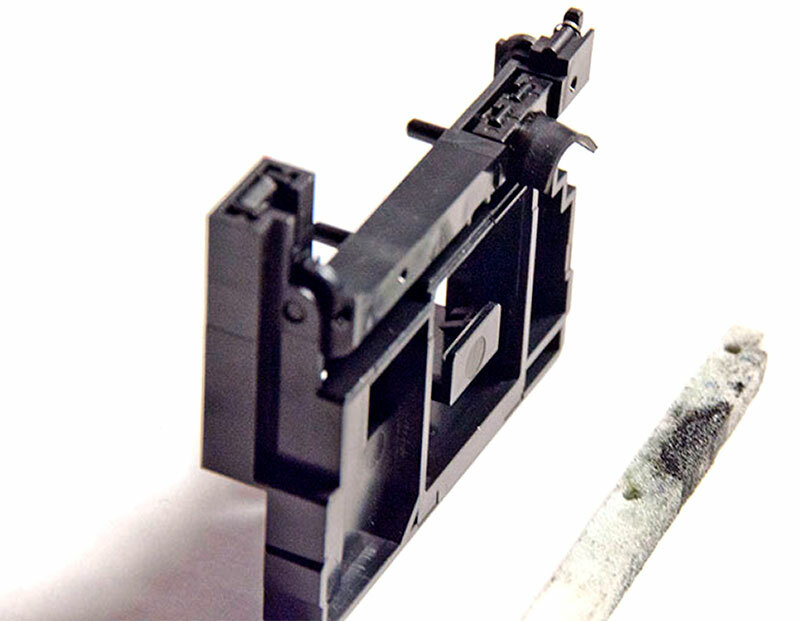 The process is simple – start the printer up in service mode/release the head/click wiper exchange in the menu/remove the wiper/clean the wiper with distilled water and your foam swab/install the wiper and you’re done. After watch your site here, i really appreciate your sharings. Unfortunately my 7900 Print head is probably death and i looking for a replycement. Anyone having an ide where to buy? Epson dont sell them here in switzerland. I swapped the head in my 4900 today and now the unit will not power on. I’ve checked the power cord and it is OK. Main power button and serviceman mode power on do nothing at all. What are the odds that I’ve had a random power supply failure? All the head leads are connected and the two wire from the selector assembly are connected. Are there any other interlock points that I could have disrupted while doing the head change? Maybe you killed the fuses on the mainboard. 80% of nozzles were blocked on my 7890 as printer has not been used for a while. It has also had compatible inks installed. It printed 3 nozzle checks and now throws a Fatal Error 1A39. It does not throw the error when I put it in service mode. How do I start printer in service mode? Watch the wiper changing video, it’s shown in detail there. Good luck! How do I start the printer in service mode? How do you know if you need to clean the wiper blade? Thanks for your website, very helpful.